Here’s a fact: you only know what you know. Here’s another one: you can’t know what you don’t know. And, guys, the stuff that you aren’t aware of may actually be holding you back from reaching your health and fitness goals — especially if you’re trying to drop pounds. WITHOUT YOU EVEN REALIZING IT. We know. But don’t worry; we’ll get through it together. 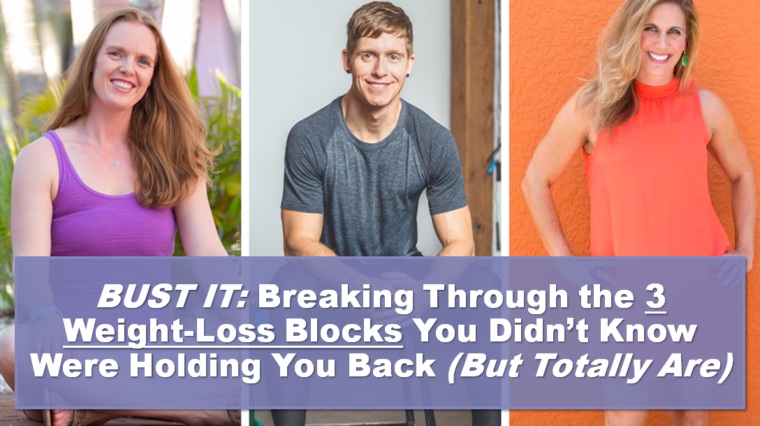 Because we, along with our fave personal trainer Dave Smithhave put together a webinar busting the 3 weight-loss blocks you didn’t know were holding you back (but totally are). This class will take the three most common hidden weight loss beliefs we see in the women we work with and ninja-chop them, so that you can get on with your bad self. And, the best part is that this webinar is totally free! All you have to do is sign up and join us live on January 2, 2018, at 8 p.m. EST. Can’t make it live but still want to see it? No worries! Everyone who signs up will also have access to a recording of the event!